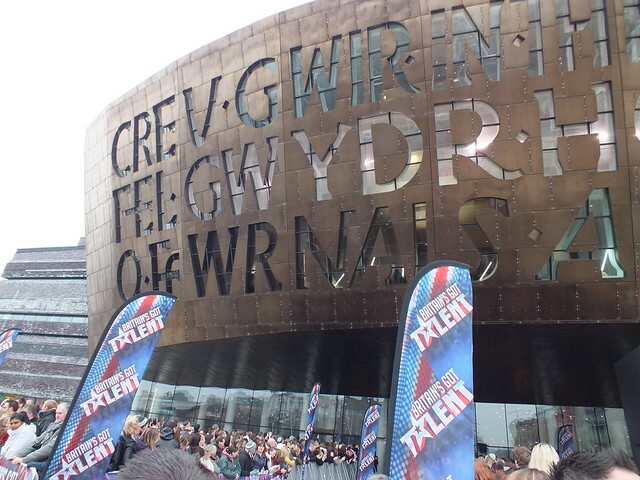 ITV hit talent show Britains Got Talent held auditions in a very cold Cardiff Bay in late January. 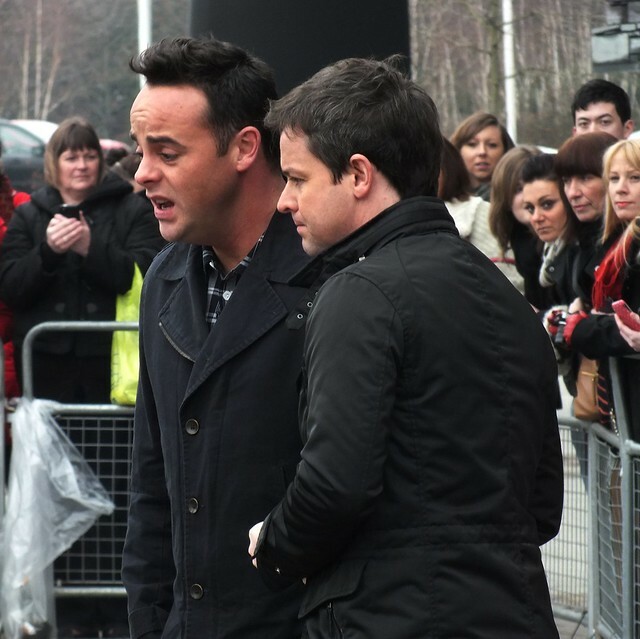 Hosts Ant and Dec quickly met and greeted the audience before recording a few links with the crowds patiently shivvering behind them. 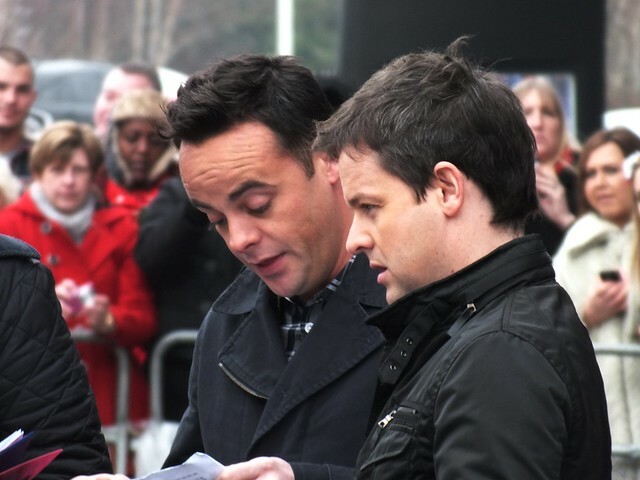 I always thought Dec was a bit short but seeing them both stood next to each other it was easy to see that they are BOTH infact incredibly short! 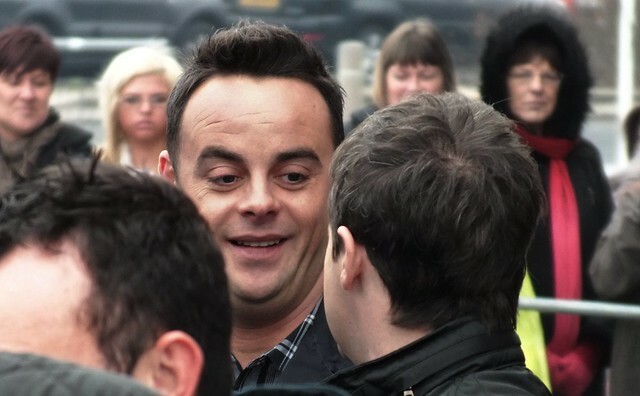 Ant stood on the left and Dec on the right as they do for every link! 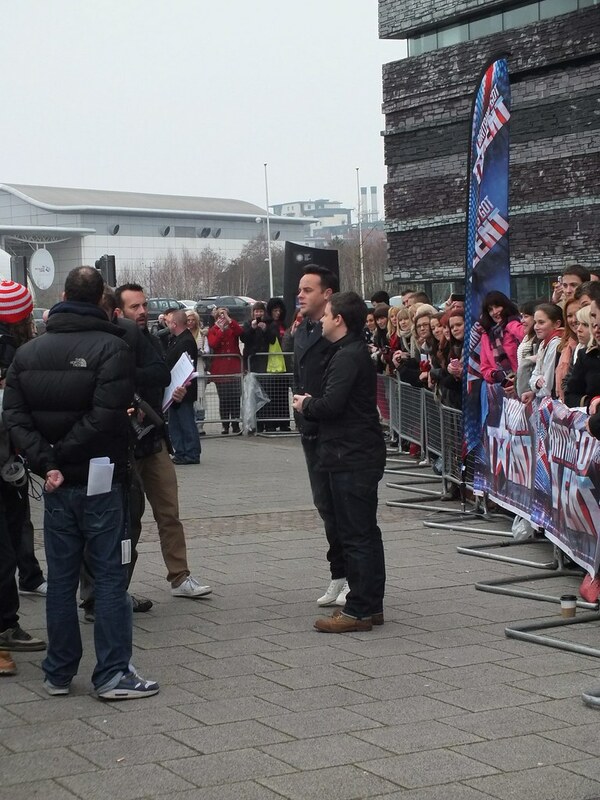 Within a few minutes all the links were recorded and they headed back inside before new judges Alesha Dixon and David Walliams arrived. 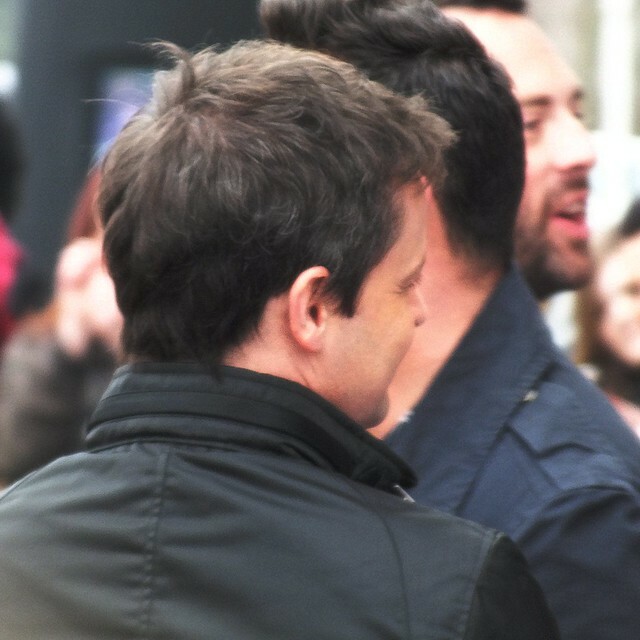 There was rumours that Declan Donnelly had recently received some help and treatment to his thinning head of hair – but this photo shows that it had actually been successful or he never needed it in the first place! 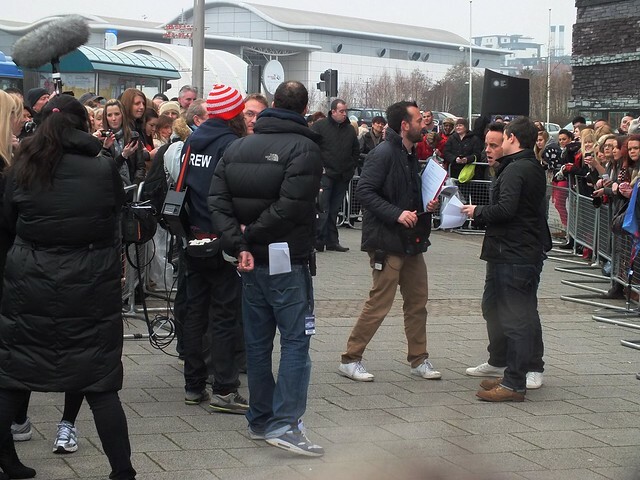 All the crowd were told to stop taking photos whilst Ant and Dec read their lines to camera where the crowd had to pretend carry on being enthusiastic in these Arctic conditions. 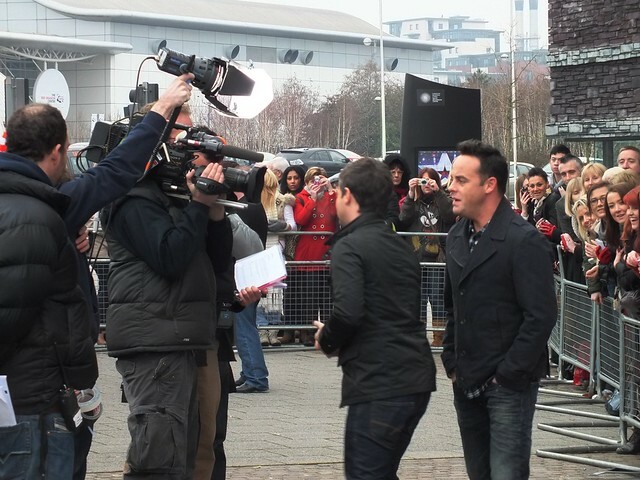 There was a cameraman, sound recordist, floor manager, director and producer controlling and listening to every word the boys delivered. Each piece seemed to be done in one take with not much messing about and as quick as they arrived they swiftly headed back inside for a warm!